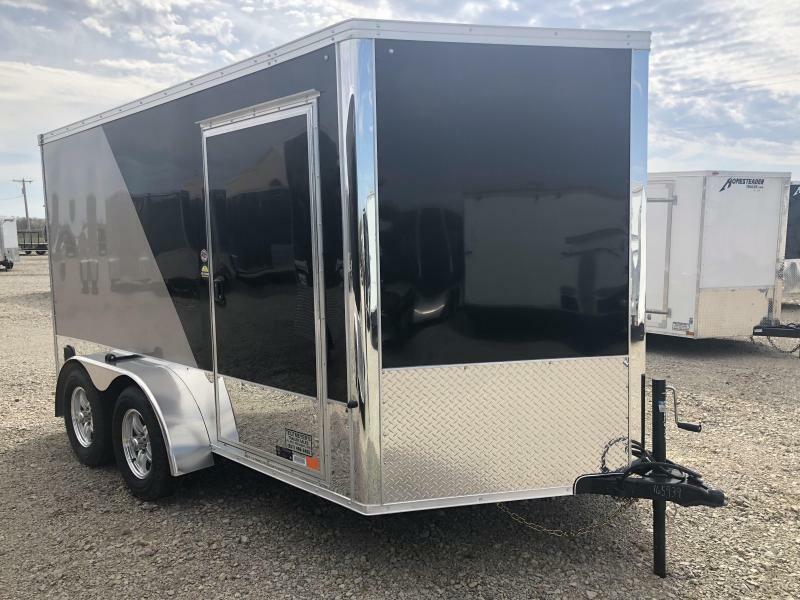 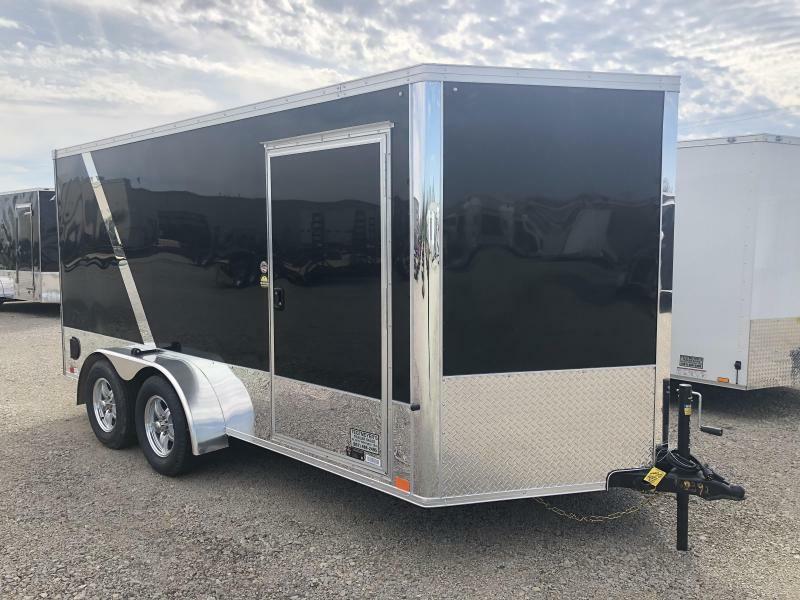 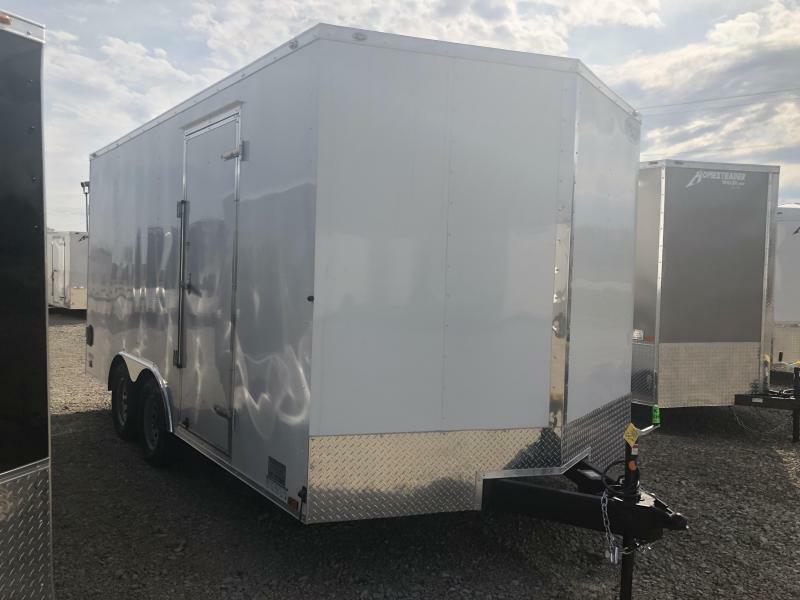 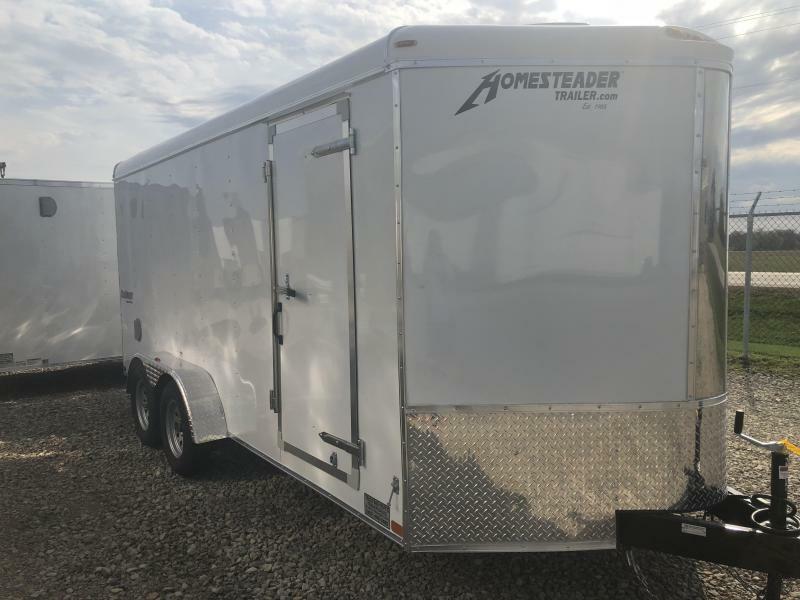 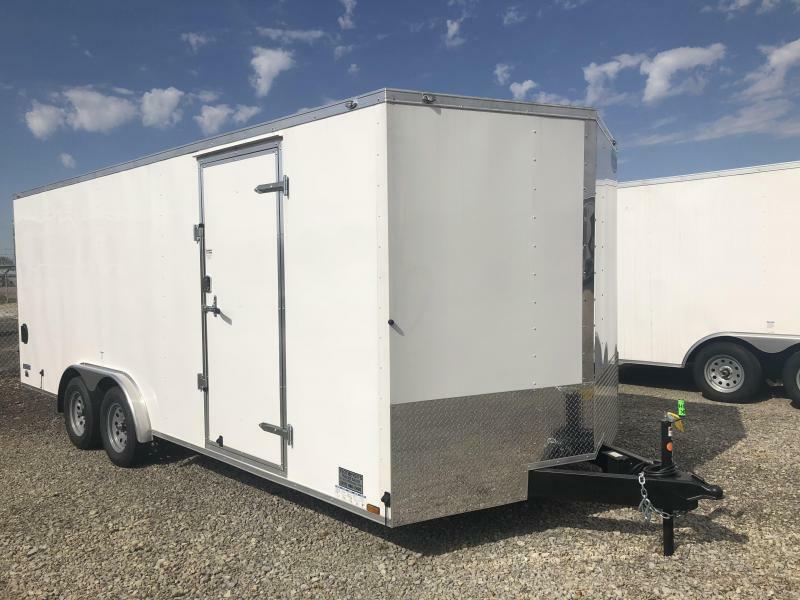 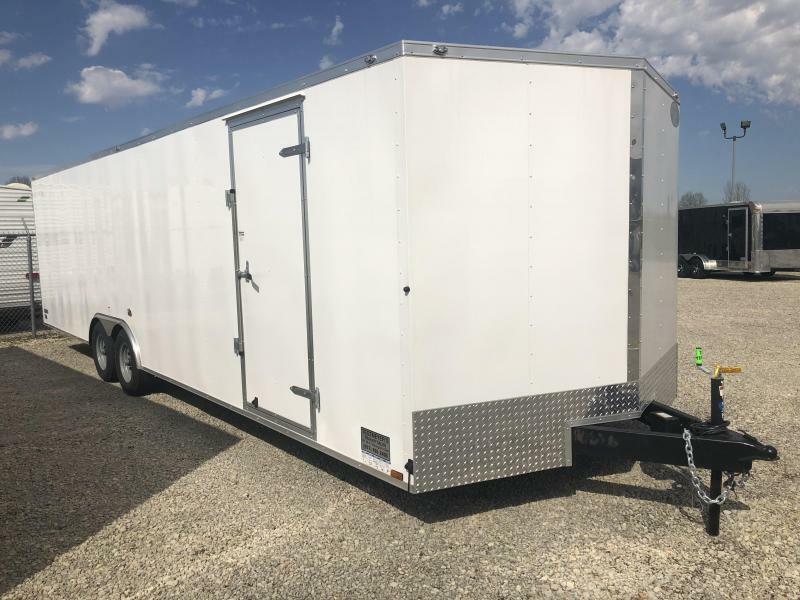 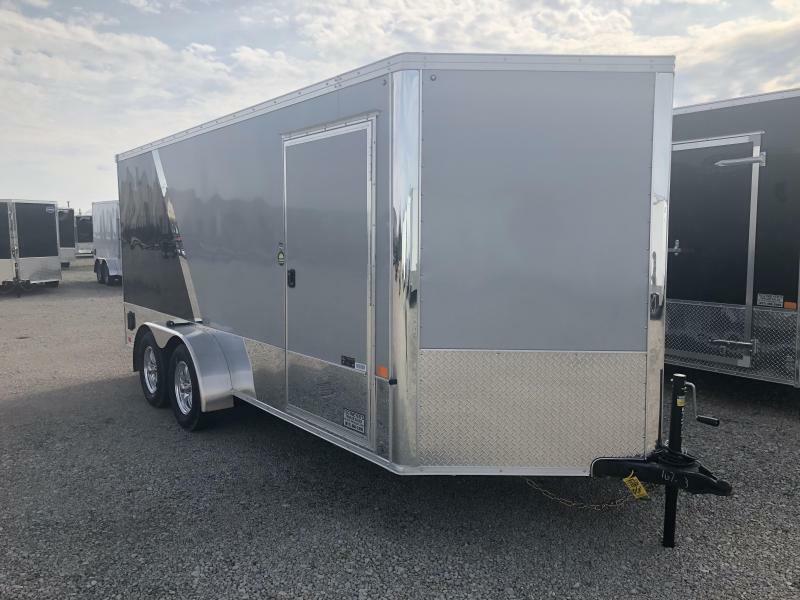 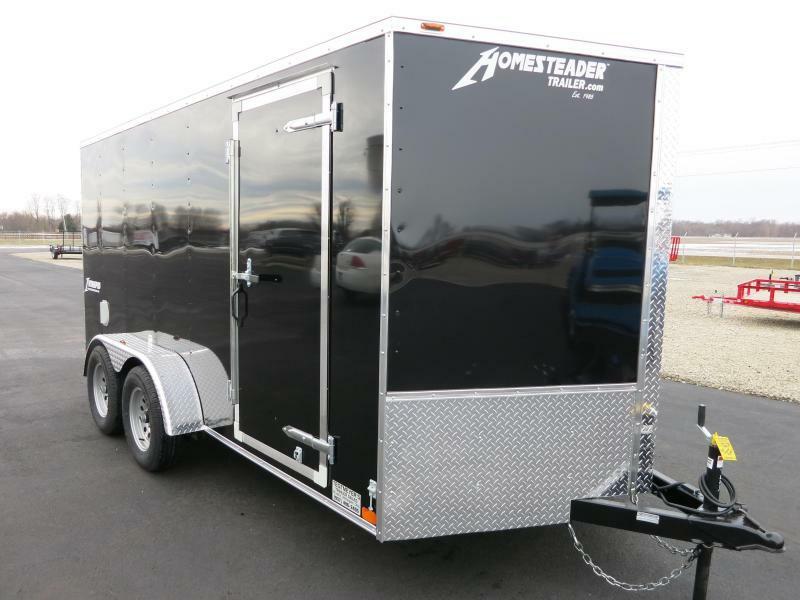 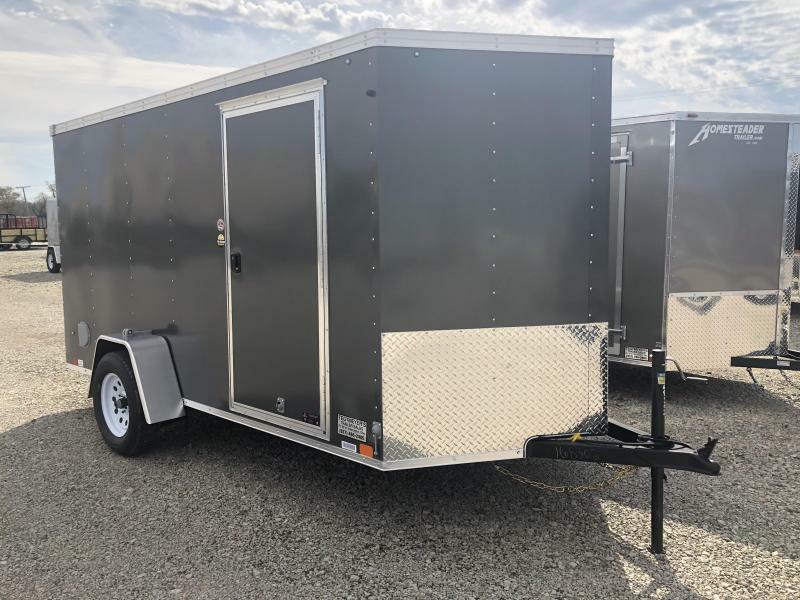 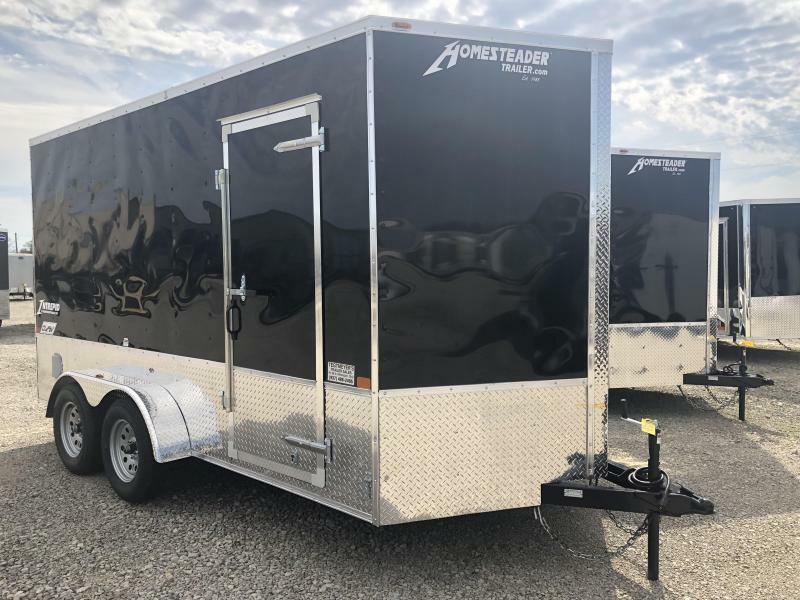 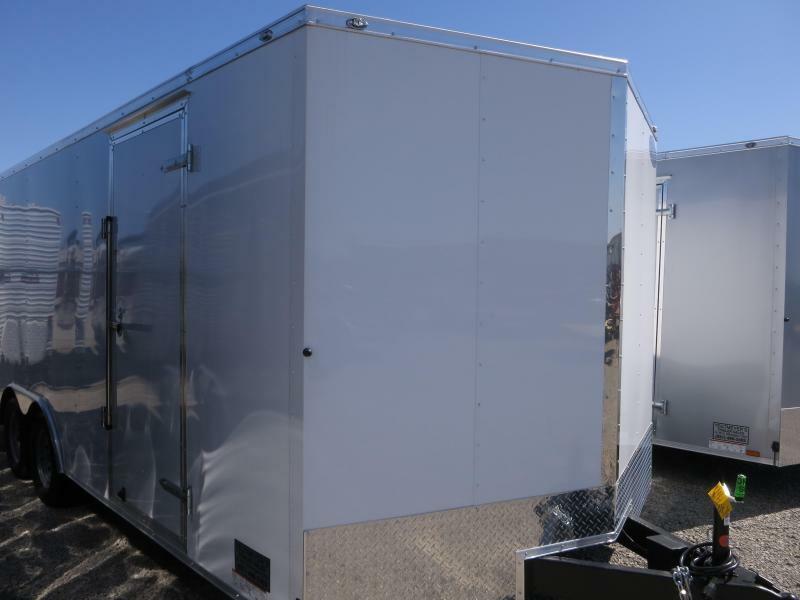 The Continental Cargo 7x16 Tandem axle enclosed trailer is beige in color with rear ramp door, radial tires, roof vent, and side door. 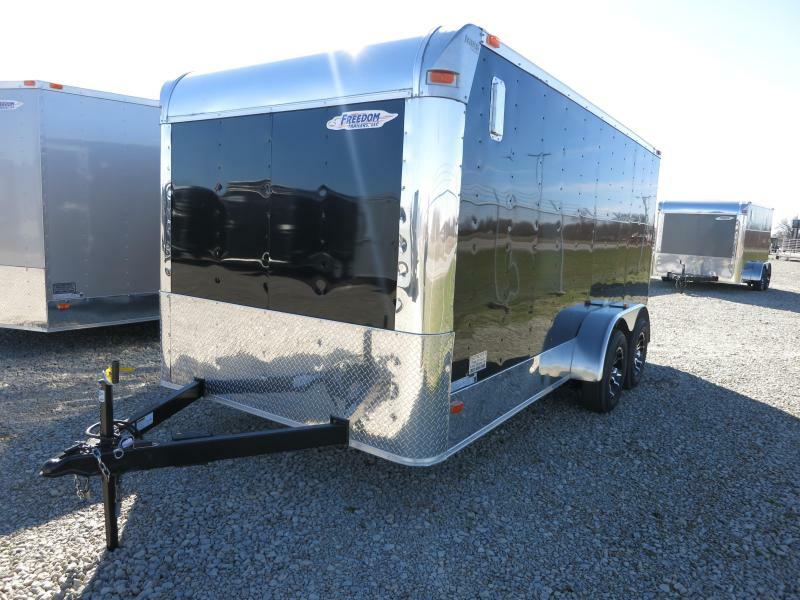 The GVW is 7,000 lbs. 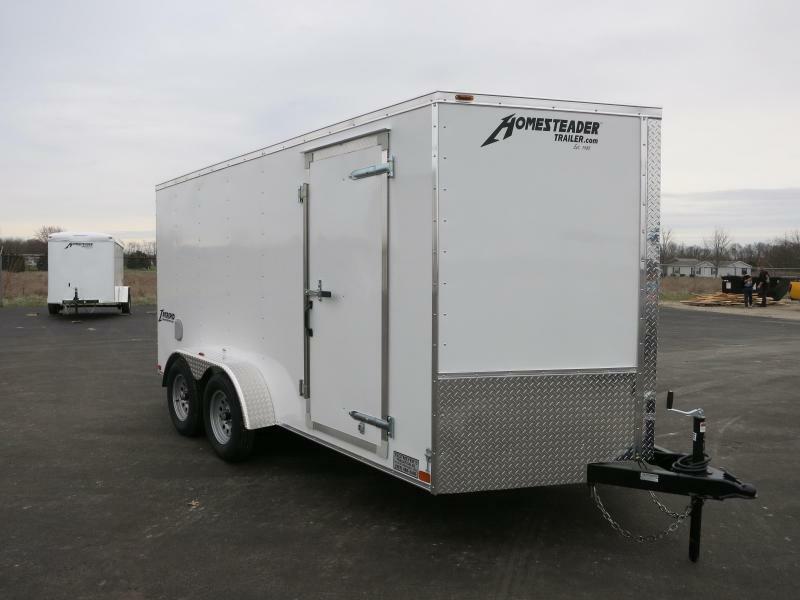 This is a Tail Wind model.